As I write this post, I recognize that it might be misleading to use the phrase “Winters in St. George”, seeing as winter in St. George is about the equivalent to early fall in most parts of Utah. Case in point: I just spent New Year’s Day walking around with shorts and a t-shirt in St. George’s 60 degree, “January” weather. Having spent at least 18 winters as a St. Georgian, I can assure you that this is not unusual for the region. That being said, however, your options for date activities in the STG do change with the seasons, even if the weather does not. Snow Day: If the roads are clear enough for the drive, many people like to make a short trek to the mountains north of St. George where there is snow on the ground for much of the winter season. St. George rarely gets snow, so this is a fun way to change things up. Scenic Drives: There are many gorgeous drives to enjoy in Southern Utah, including Zion National Park and Snow Canyon State Park. It’s a nice way to get out without getting cold! 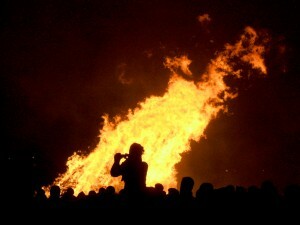 Bonfires: If you’re willing to go through a bit of work, having a bonfire is a St. George classic. With a few calls you can usually get dozens of people to show up. If you’re looking to try something a little more low-key, consider getting flavored hot chocolate from Swig, hosting a game night with friends, or hot tubbing. All of these are guaranteed big hits in the St. George dating scene!